The 2004 Yamaha SX230 shows very well for her age. Has normal wear and tear but can tell she has owners that care. Upholstery on the seats shows some light wear, no tears or holes. Carpet is in great condition with a 2017 Bimini Top. Hull has a few little scratches (all pictured) around the nose there are some nicks but again all normal and cosmetic in nature. 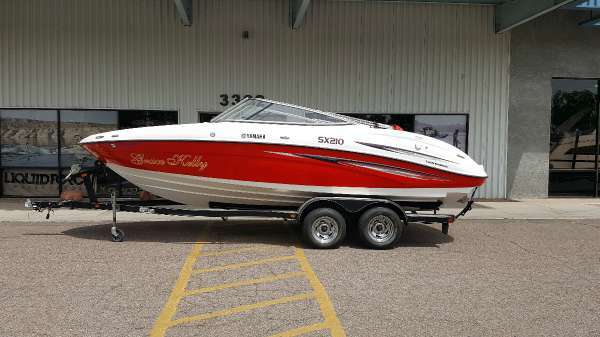 Stock #163924 GREAT LOOKING VERSATILE BOAT! 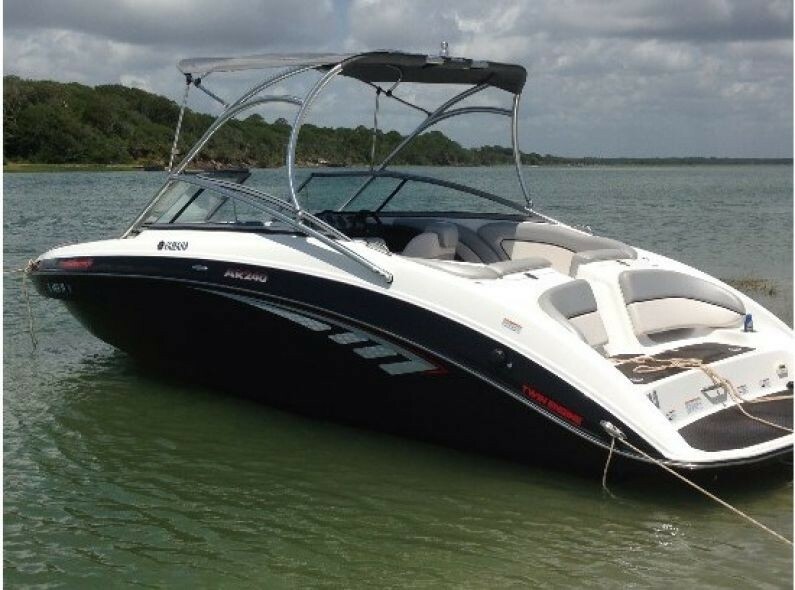 BIMINI TOP WITH TOWER & WAKEBOARD RACKS! AFT U SHAPED SEATING WITH TABLE THAT ALSO MOVES TO THE SWIM DECK & MUCH MORE!! 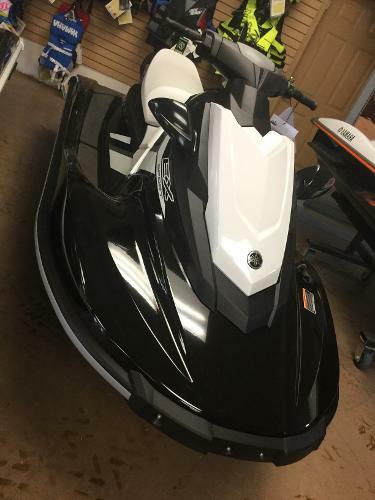 If you are in the market for a jet boat, look no further than this 2004 Yamaha SX230, priced right at $22,500 (offers encouraged). 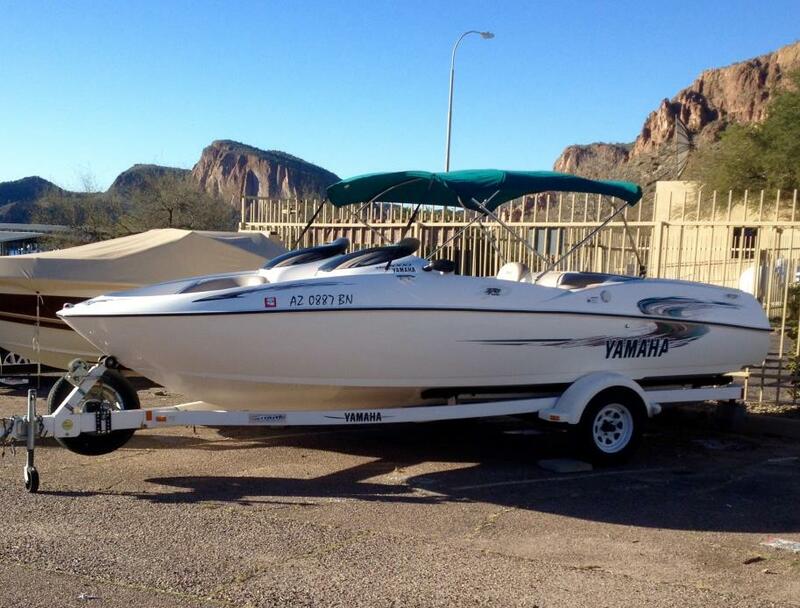 This boat is located in Surprise, Arizona and is in great condition. She is also equipped with twin Yamaha engines that have 346 hours. Reason for selling is time to enjoy some travel and not wanting boat to just sit while out adventuring!. The Yamaha LX210 is an ice looking boat, the rub rail on the Starboard side from Aft to Mid, needs to be replaced. Upholstery is in good condition; boat is kept on trailer and covered when not in use. Hull has one lengthy scratch on the bow near the bow hook. Normal wear and tear, only has 50.5 hours on her. 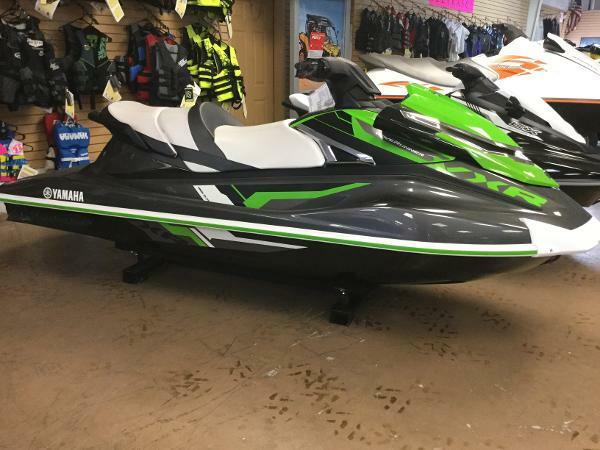 Stock #109027 She Has Twin 1131c Yamaha's, So is Fast & Is Strictly Fresh Water - Has Very Low Hours Also - She Comes With All The Extras!! 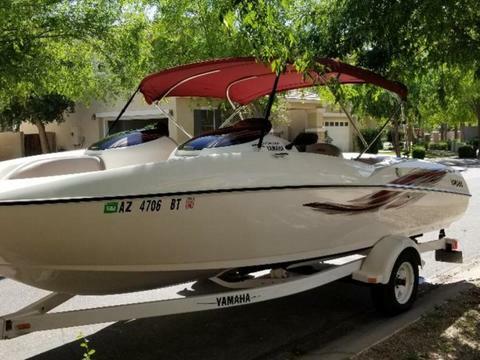 If you are in the market for a jet boat, look no further than this 2005 Yamaha LX210, just reduced to $14,000 (offers encouraged). 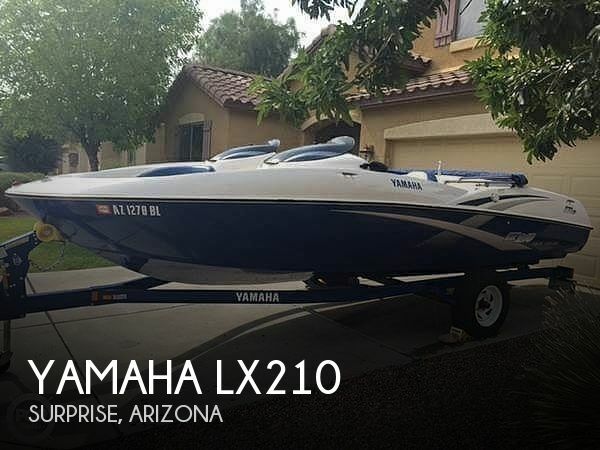 This boat is located in Surprise, Arizona and is in good condition. She is also equipped with twin Yamaha engines that have only 51 hours. Reason for selling is work is overtaking time for fun!. 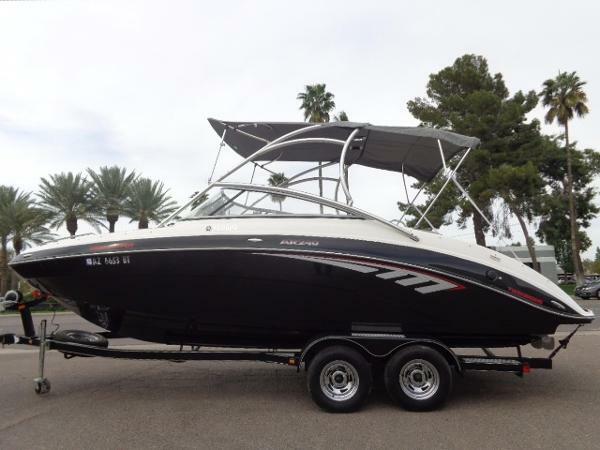 2014 Yamaha 212X condition: like newengine hours (total): 100length overall (LOA): 21make / manufacturer: Yamahamodel name / number: 212xpropulsion type: twin jet driveyear manufactured: 2014 Up for sale is a very clean 2014 Yamaha 212x wakeboard/ ski boat with under 100 hours on it. (Time will increase as I continue to use it) 21 feet in length and twin jet drive 1812cc Yamaha high output engines Producing a combined 360hp. Free delivery anywhere within 1000 miles of Mesa, Arizona! Everything is stock except the dual battery system that was added and the blue vector fins to increase steering performance and power off steering and are essentially rudders. 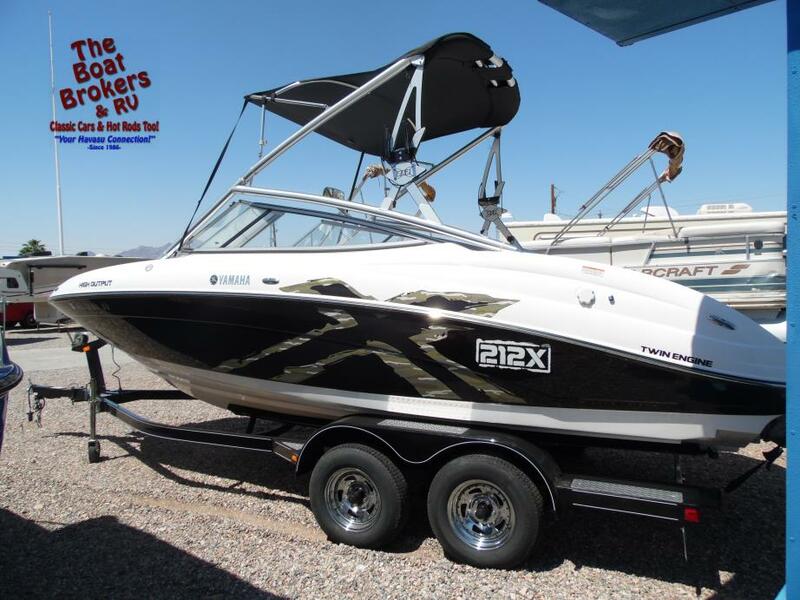 Super economical and this boat has the lowest cost of ownership of any boat in its class. 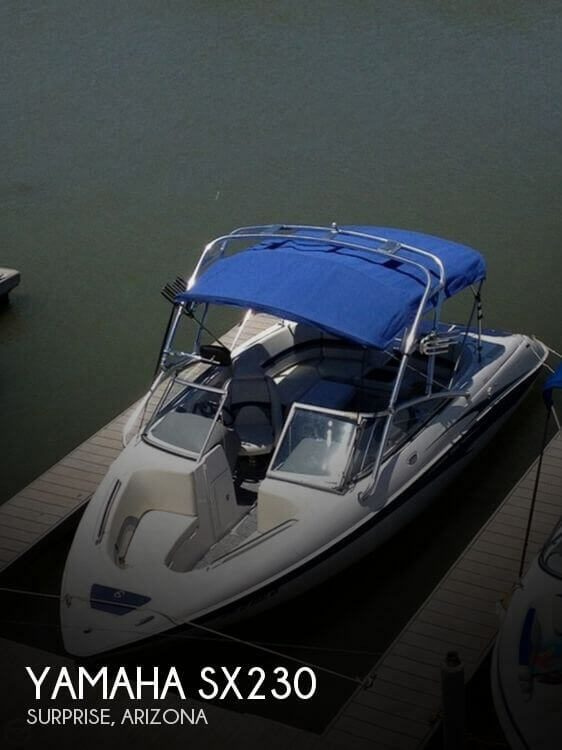 Boat has always been stored indoors and is in excellent condition both mechanical and cosmetic. There is no sun fading on any surface, shines like new. I am the second owner. No rips or tears in upholstery. Paint is beautiful. Built in factory ballast (800 lbs) clarion stereo system, Bluetooth, music controls on swim deck, and wireless remote. Also features a Wake tower, Bimini top, bow has cushion inserts to make a nice bed or sun tanning platform. There is a table for inside or on the swim deck. 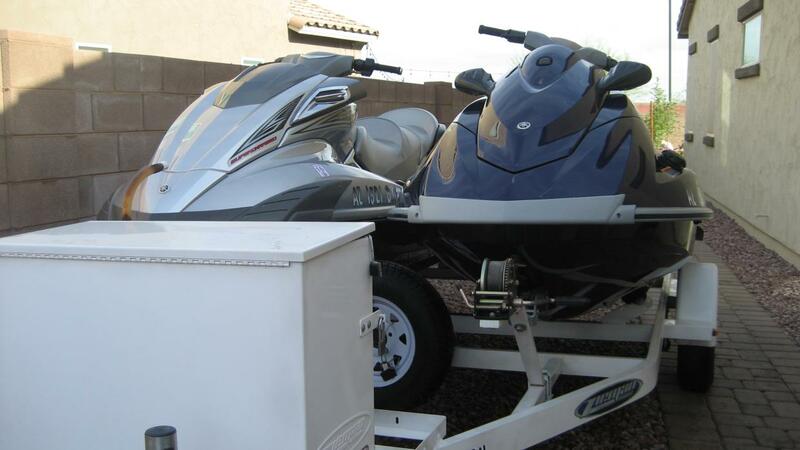 Comes with custom yamaha boat cover that can be used in tow. Trailer has a swing away tongue and powder coated a black metallic color with perm plates, hydraulic disk brakes. Tags on boat are good till Feb 2018. Love the boat but we have two young kids and are just not able to use it as much as I'd like. Boat has no lein and ready for sale. Boat is stored in a storage unit in Northeast mesa. Serious inquiries if you would like to see it. Call or text for more questions. 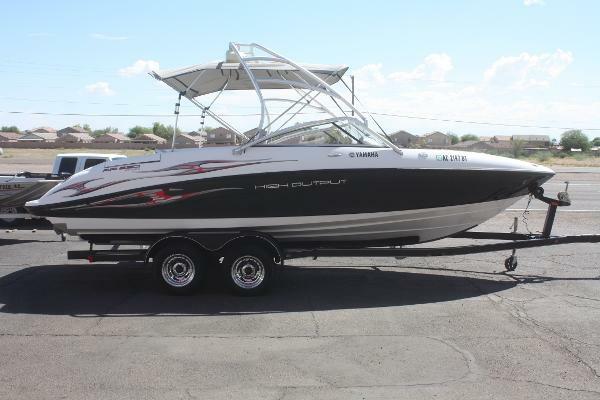 2008 Yamaha 212X Open Bow Wake Board 21' - This boat is ready for summer fun! Powered by Twin High Output Yamaha four stroke inboard motors with 160Hp each. Boat is like new with low hours, always stored indoors. Features Bimini top, ski tower, open seating, great storage, stereo and much more!! Rides on a MFI tandem axle trailer. 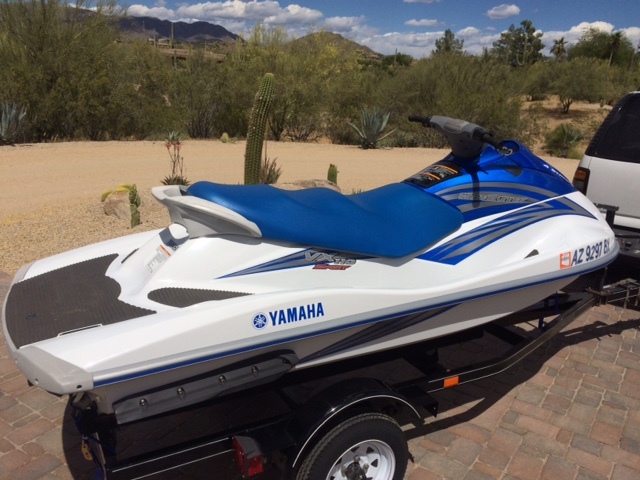 2017 Yamaha 212X 2017 Yamaha 212X. All new for 2017 with articulating keel for better handling and straight line tracking, as well as a triple ballast system for bigger wakes. Quick revving, 1.8 liter High Output Yamaha Marine engines accelerates this boat from zero to 30 in under 4 seconds. 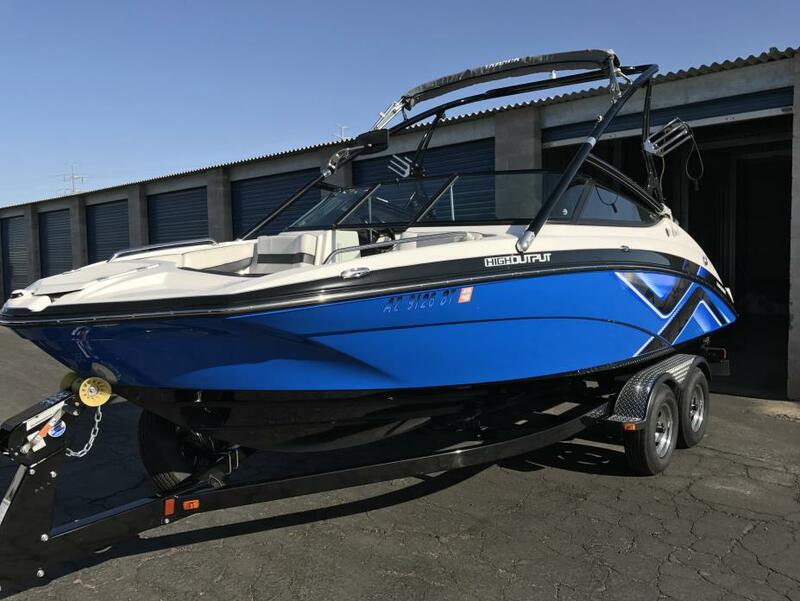 Yamahas 21 sport boat for the wakesports enthusiast includes a folding wakeboard tower with board racks and integral bimini top. Standard equipment includes, AM/FM Sirius ready, Blue Tooth, MP3, I-Pod, and USB Polk stereo with sub woofer and sound bar, snap in teak look mats, and a tandem axle trailer with disc brakes, swingaway tongue, and a matching spare tire. $57,999 plus freight and dealer prep. 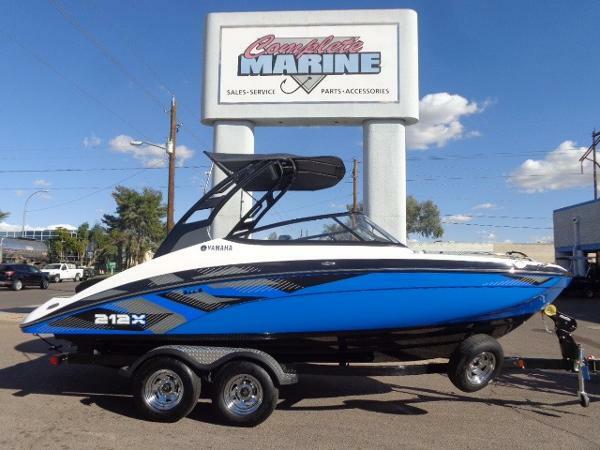 Complete Marine 4551 E. University Drive Phoenix, AZ 85034 (212X: Premium sound and surf.Yamaha's renowned internal propulsion system is not only reliable and fuel-efficient, it also offers the highest level of freedom achievable on the water. The concept is simple: Water is pulled through internally housed propellers and pushed out through marine engines with high thrust points. This technology eliminates the need for an exposed drivetrain, allowing Yamaha boats to plane quicker with less bow rise. The minimal draft makes navigating shallow areas easy. But the benefits dont end there - internal propulsion eliminates the need for a bulky engine hatch, opening up an expansive swim platform where family and friends can relax close to the water.) Black Color Combo in stock.